Pawn your Roger Dubuis Watch | Loans on Roger Dubuis Watches ! Despite being a fairly contemporary brand, as it was founded in 1995, Roger Dubois has quickly established itself as a leading name in luxury watch design. What the Roger Dubuis brand lacks in heritage, it exceeds in revolutionary thought and brave designs. As a Swiss manufacturer, Roger Dubois capitalises on combining classical watchmaking techniques with modern innovations. If the time is right in your life to part with your Roger Dubuis watch, New Bond Street Pawnbrokers offer loans on Roger Dubuis watches at our award winning store in central London. We always operate with discretion and have the relevant expertise and experience to ensure you receive the right price for your Roger Dubuis watch. If you are wondering, “how do I pawn my Roger Dubuis watch?” We explain the process below. Before offering you a fair price or loan against your Roger Dubuis watch, your timepiece must first be assessed by one of our expert team members. To the appraisal, you must bring all the relevant paperwork and accessories you have for the watch, such as its original box and bill of sale. Any interesting or unique information you have about the watch, such as a famous previous owner, may increase its value if it can be proved. Aside from the heritage of the watch, its rarity may also affect its price. For example, the Roger Dubuis Excalibur Quatuor is considered one of the rarest Roger Dubuis watches in the world, as only three were ever manufactured. Due to its rarity, the watch is valued at around £800,000. Another rare Roger Dubuis watch, the Limited Edition Skeletonized Double Tourbillon Wristwatch, sold for £125,000 at an auction in 2016. 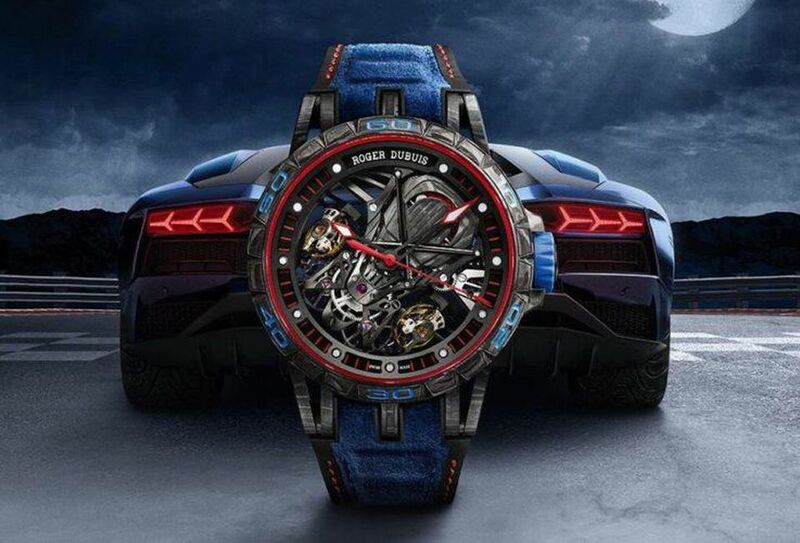 What loans on Roger Dubuis watch collections and individual watches do you offer? Our expert team will carefully evaluate your watch before offering you a loan based on its value. Some of the criteria they consider is the age, condition, provenance and model of the watch. Age: The age of the watch will be considered, as older does not automatically mean rarer. Condition: Any damages to the watch or repair work will be assessed. Poor repair work can affect the value of a watch as equally as damages can. Provenance: As previously mentioned, bringing any and all relevant documents to the appraisal can help prove its authenticity. Model: Limited edition or discontinued Roger Dubuis watches are often considered to be of a higher value. After determining the value of your timepiece, New Bond Street Pawnbrokers will offer you an accurate loan based on current market conditions. If you are asking yourself, “what is the next step to pawn my Roger Dubuis watch in London?” contact one of our expert team at New Bond Street Pawnbrokers. Alternatively, you can bring your watch to our Blenheim Street shop in Mayfair, though booking an appointment is advisable to avoid disappointment.